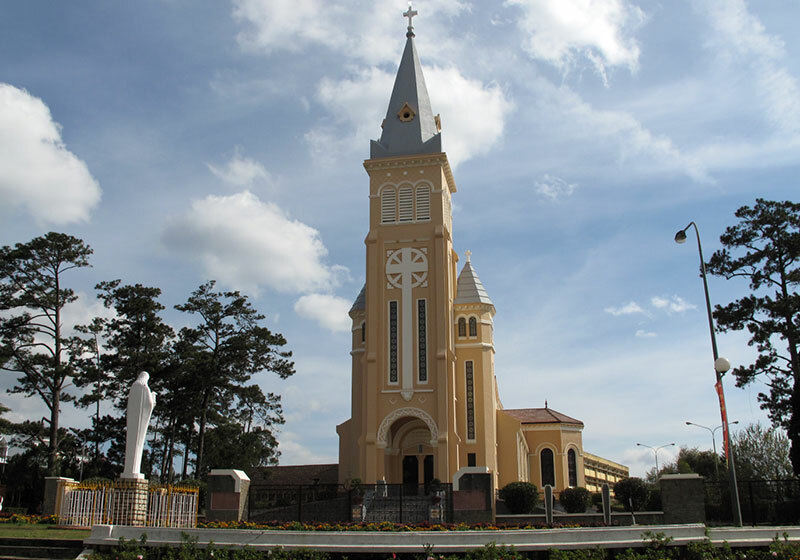 In Dalat city we can find the Christian Cathedral in honor to Saint Nicholas, built by the French colonists during the first half of the 20th century. With a height of 47 meters, this French building is visible from almost any point in the city of Da Lat. As a curiosity we will say that the Vietnamese call this Cathedral Cathedral of the chicken, by the way in which the building campaign. Short Description: The St. Nicholas Cathedral also called St Nicholas of Bari Cathedral is a Roman Catholic cathedral, seat of the diocese of Da Lat, suffragan of the Archdiocese of Ho Chi Minh.